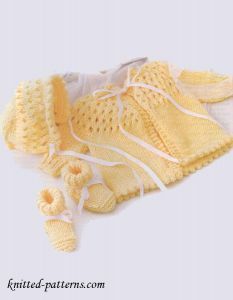 Newborn Knit Set – Sweater Bonnet Booties. 15 sts and 20 rows = 4 inches/10cm in St st with size 10 needles. 20 sts = 4 inches/10cm in garter st with size 8 needles.